In any community, there are a few true pioneers: visionaries who see the road ahead and arrive before anybody else on the scene. 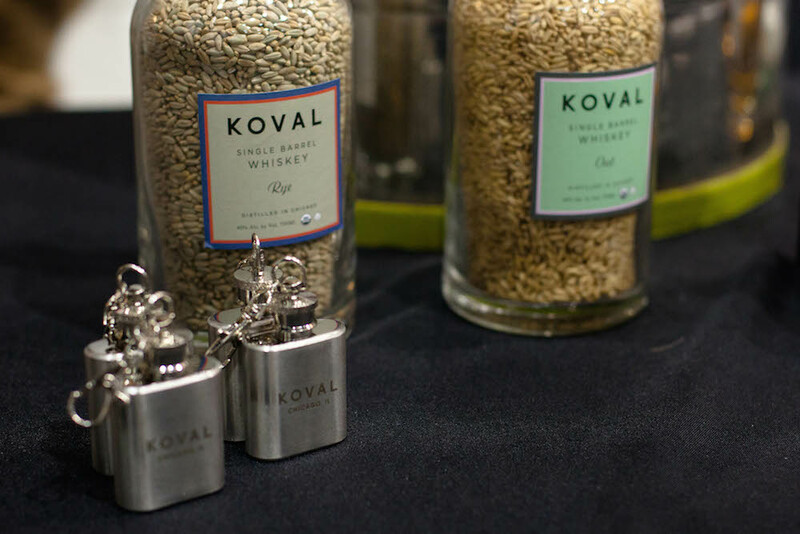 Koval Distillery is just such a pioneer in Chicago’s food and beverage community – they started crafting micro-distilled spirits at a time when nobody could’ve anticipated the boom in artisan small-batch liquor. That’s why Baconfest Chicago 2015 (April 17-18) is thrilled to welcome them back to our bacony proceedings. They’ll be offering samples of their organic luxury spirits and serving up whiskey-based cocktails that pair perfectly with bacon. Thank you KOVAL for your support of Baconfest and our Charity Partner, the Greater Chicago Food Depository! Stop by and visit them on Ravenswood sometime! Established in 2008, KOVAL produces luxury, organic whiskey, liqueurs and specialty spirits in Chicago’s first distillery since the mid-1800s. Our founders, Robert and Sonat Birnecker, chose to leave their academic careers to bring the distilling traditions of Robert’s Austrian family to America. In making this decision, they vowed to make organic spirits from scratch (avoiding the common industry practice of purchasing and bottling pre-made spirits) and to change the way people understand whiskey by creating a new, signature style – using only the “heart” cut of the distillate – affording a brighter, cleaner take on whiskey. Embracing the grain-to-bottle mentality, each step of the spirit-making process is thoughtfully monitored: beginning with contracting local farmers to grow the grain, to on-site milling and mashing, to finally distilling, bottling, and packaging. After numerous international awards and Robert at the helm of consulting for the burgeoning craft industry, KOVAL has grown to be one of America’s leading small batch, independent spirit manufacturers. The name Koval means “blacksmith,” in numerous Eastern European languages, but the word in Yiddish also refers to a “black sheep” or someone who forges ahead or does something new or out of the ordi- nary. Sonat’s great-grandfather earned Koval as his nickname when, at the ripe old age of 17, he surprised his family and emigrated from Vienna to Chicago in the early 1900s to start a business. Coincidentally, the surname of Robert’s grandfather (at whose side Robert learned the art of distilling) is Schmid – German for “smith.” Sonat and Robert chose the name Koval to honor both men – and to reflect their own extraordinary decision to leave their careers to make some of the most unique whiskey in America.